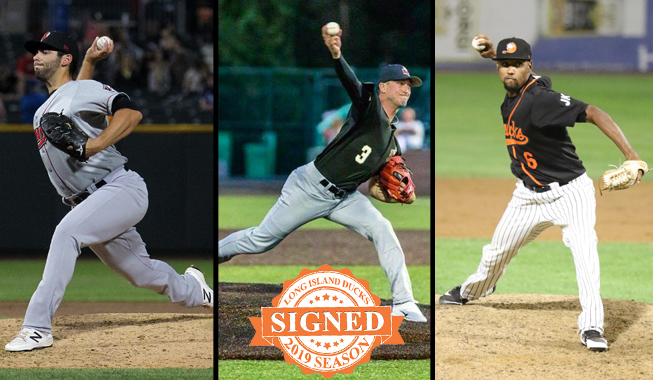 (Central Islip, N.Y., April 12, 2019) – The Long Island Ducks today announced the signings of right-handed pitchers Tucker Healy, Joe Iorio and Jose Cuas. Healy begins his first season with the Ducks and eighth in professional baseball. Iorio enters his first season with Long Island and fifth in professional baseball. Cuas returns for a second season with the Flock and fifth in professional baseball.